Houghton Mifflin Harcourt, 9780547195605, 496pp. 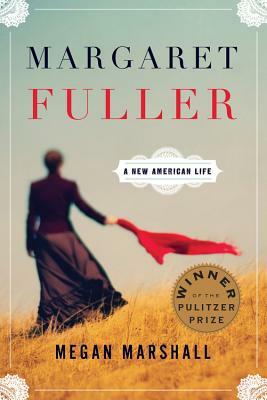 "Megan Marshall’s richly researched and elegantly presented biography of Margaret Fuller reads like a novel – but with a twist. Marshall takes her cue from Hawthorne, who called his books “romances” rather than novels, in order (as he put it) to “bring out or mellow the lights and deepen and enrich the shadows of the picture” while maintaining allegiance to the “truth of the human heart.” The result is thrilling. Marshall’s keen observations and rigorous analysis are expressed in fresh, creative ways that honor her subject’s own imaginative boldness in life and art. Marshall is keenly aware that there was little distinction between public and private in Margaret Fuller’s life. She shows how Fuller, in fact, aimed to break down such a distinction, which she felt hemmed in the lives of women. Marshall, exhilaratingly, writes Fuller’s story “from the inside out, using the most direct evidence – her words and those of her family and friends, recorded in the moment.” She provides deft and vividly sympathetic reconstructions, bolstered by newly discovered documents, of the interesting times and locales – in Cambridge, New York, and Italy—in which Fuller lived. . . .
Like all great historical works, Margaret Fuller informs us about the past as it forces us to think about our present. Fuller, who helped spark the nineteenth-century movement for women’s rights, opened a path that we still follow. Megan Marshall’s beautiful rendition of her life inspiringly links past to present, and is a classic of modern biography."